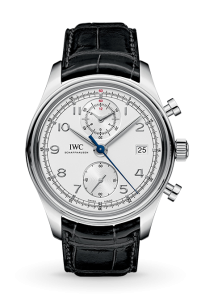 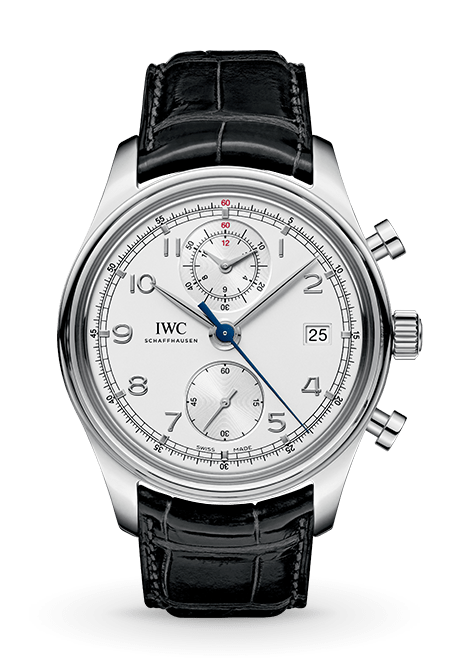 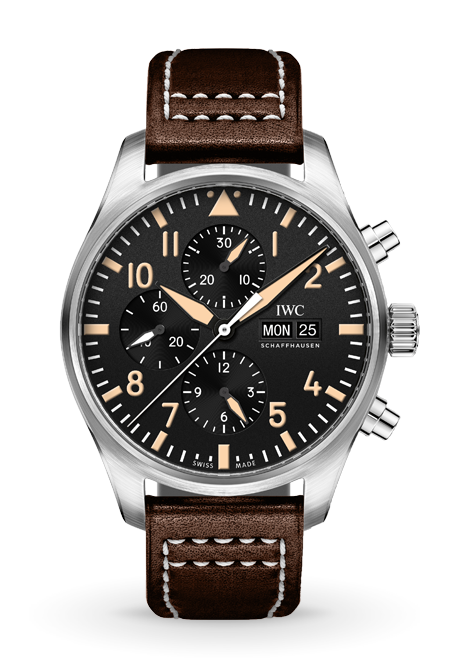 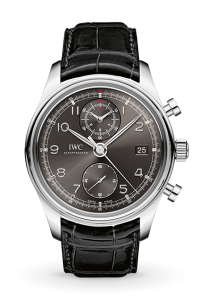 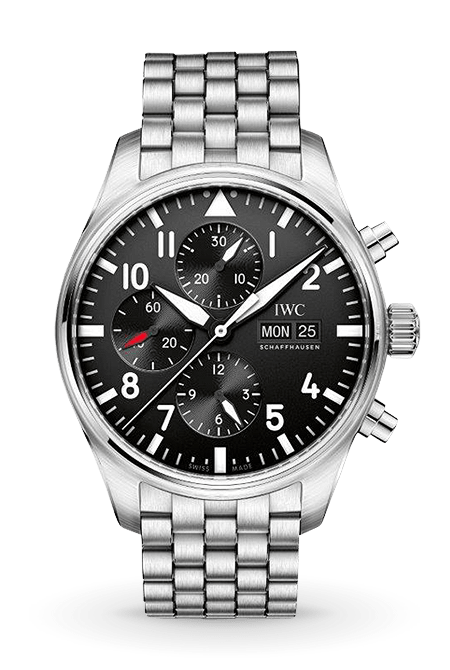 The IWC Portuguese Chronograph Classic brings a strong, sporty look to the IWC Portuguese watch family. 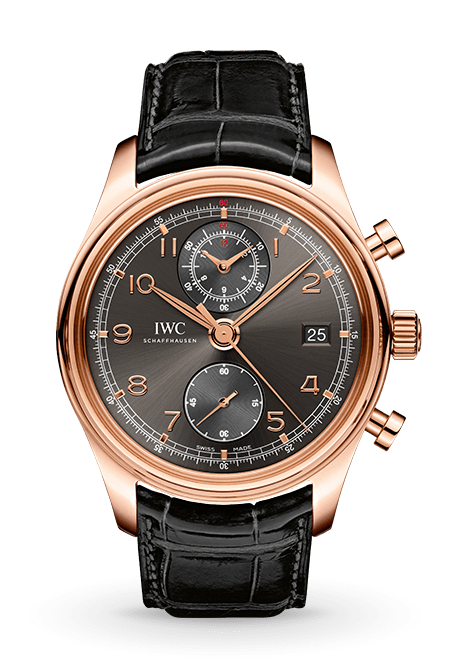 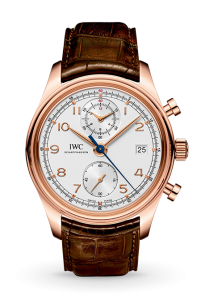 Available in stainless steel or 18ct pink gold with alligator strap, it is powered by the IWC-manfactured 89361 calibre. 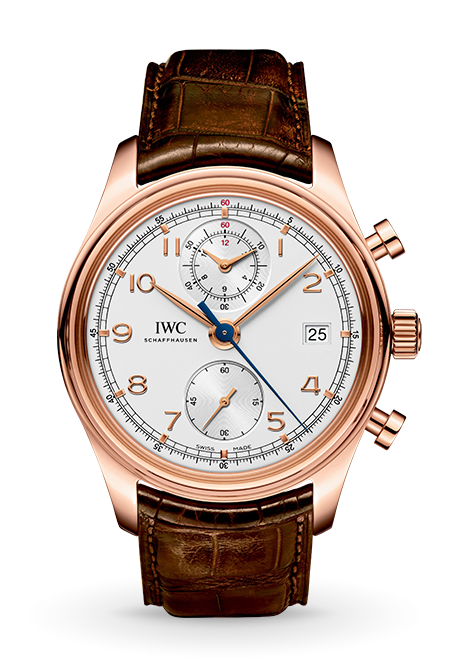 The classic design features include an arched-edge front glass, but it is the railway-track-style chapter ring that gives this Portuguese the look of a precision timekeeping instrument.